carefully selected further reading, this approachable and thorough textbook equips students with the tools they need to engage critically with the subject. 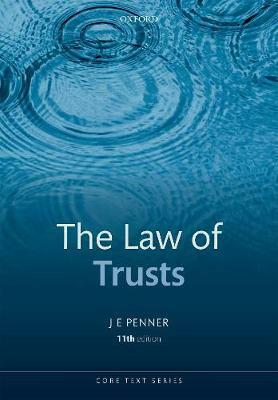 JE Penner is Professor of Law, National University of Singapore, and Barrister of Lincoln's Inn. He completed his first degree in genetics (BSc UWO) before continuing his academic studies in law and legal philosophy (LLB Toronto, DPhil Oxon). He has a strong reputation in this field and has taught trusts in the UK, Canada, the Bahamas, Malaysia, Singapore, and Australia.